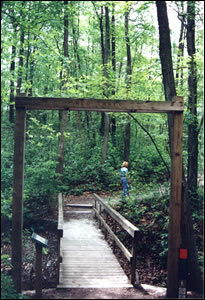 To provide financial assistance for developing and maintaining trails and trail facilities. Trails can be for non-motorized, multi-use and motorized purposes. This program is funded through the United States Federal Highway Administration. Projects are funded on an 80% federal share and 20% matching share basis. Funding levels vary from year to year based on New Jersey's federal apportionment. The Recreational Trails Program is a part of the Safe, Accountable, Flexible, Efficient Transportation Equity Act - A Legacy for Users (SAFETEA-LU) (23 U.S.C. 206). Government Agencies and Nonprofit Organizations. Application must be submitted. Land on which trail facility is to be funded must be public land or private land with an easement for public recreational use. Varies from year to year depending on funds available and total applications received. Maximum grant award for non-motorized trail project is $24,000. Each year, in March, an application package is distributed, or the application may be found on the Trails Program web page www.trails.nj.gov.